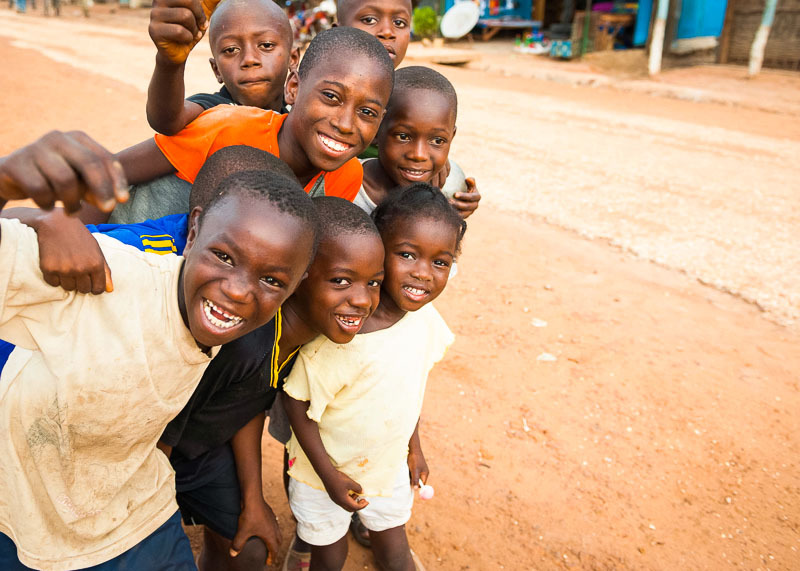 Children all around the world enjoy the attention of a camera and this lively bunch from Senegal are no exception. As a young boy, Kéraba Wallou, was forced to wear a bull skull and horns around his neck if he accidently spoke his own language, instead of French, at school. Wearing this symbol of shame, the other children would tease him for the rest of the day. Typically, children throughout Senegal are taught their school lessons in a foreign language, French, and are expected to speak, understand, read, and write it—or be punished. Today, Kéraba teaches and supervises multi-lingual literacy classes in his mother tongue, Mandjak. A school principal says, “When the children came into contact with these Mandjak texts – the smile on their faces, the change in their behaviour – frankly, they were struck by the book. The book wasn’t something foreign to them. The fact that they can read the book and understand it gives them greater self-confidence. The book becomes their friend.” Mandjak children no longer have to be ashamed of their language. They can be proud to read and write in Manjak. It’s even helping them to later succeed in learning French. Read more about Kéraba on Wycliffe USA’s blog.